MINSK. Aug 23 (Interfax) – The Trilateral Contact Group may declare a truce in eastern Ukraine at its meeting on Wednesday so that a new school year could begin without incident, Russian representative to the group Boris Gryzlov said. “A school truce should be put into place at today’s meeting of the Contact Group for the sake of security of children and the entire civilian population of Donbas. We are urging the conflicting sides to do their best to achieve that and hope that the ceasefire will be implemented more efficiently,” Gryzlov told reporters. Gryzlov said the decision was anticipated as it had earlier been suggested at the Contact Group. He also said he did not doubt that the proposal to declare a truce on the occasion of a new school year’s beginning would be supported. The ‘Normandy Four’ leaders supported the Contact Group’s proposal of a school truce in their phone call on Tuesday. 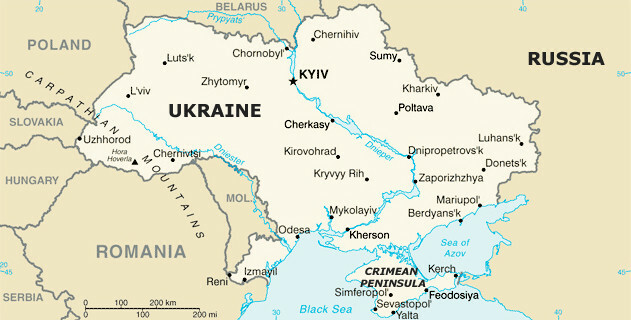 “On August 22, 2017, the heads of state and governments of the countries within the Normandy Format – Russia, Germany, France and Ukraine – had a telephone conversation The leaders voiced their firm support for the decision the Contact Group is to make on August 23 to declare a ceasefire in connection with the start of a new school year,” the Kremlin said in a report. “The leaders expressed hope that the ceasefire would lead to a stable improvement of the situation with security for the benefit of the schoolchildren and the entire civilian population of Donbas,” it said referencing a joint statement made by the sides at the end of the phone call. “On the basis of a stable ceasefire the leaders undertook to continue providing personal assistance to the further implementation of the Set of Measures adopted in Minsk in February 2015,” the Kremlin said.